The #1 choice for patients struggling with vulvodynia and urethral sensitivity. 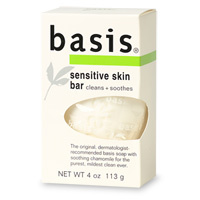 The original, dermatologist-recommended basis soap with soothing chamomile for the purest, mildest clean ever. This very caring, ultra pure formula does more than clean sensitive skin. 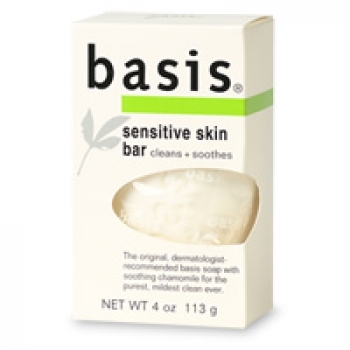 Natural calming agents chamomile and aloe vera soothe and comfort skin. Includes no fragrances, dyes or other harsh ingredients. Rinses completely. Leaves skin clean, calm and comfortable. 4 oz.